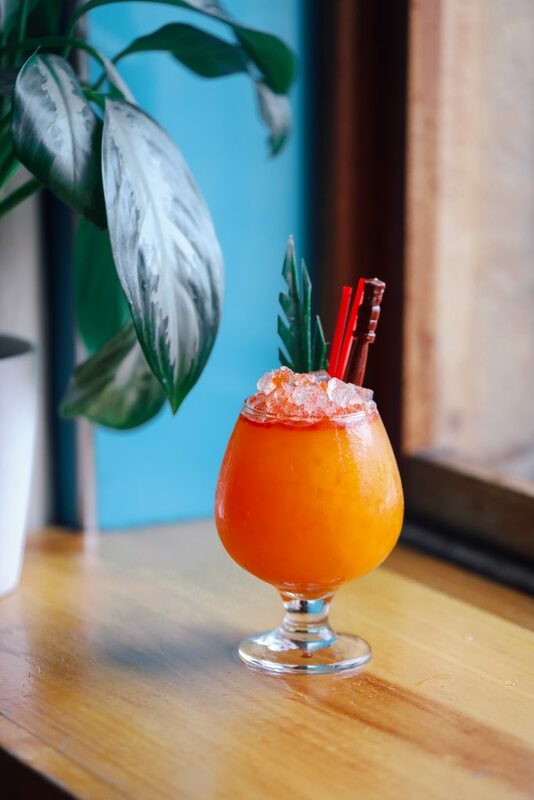 It’s Winter Solstice and though that may mean it’s the shortest day of the year, we’ve got a long list of cocktails for you to get through! 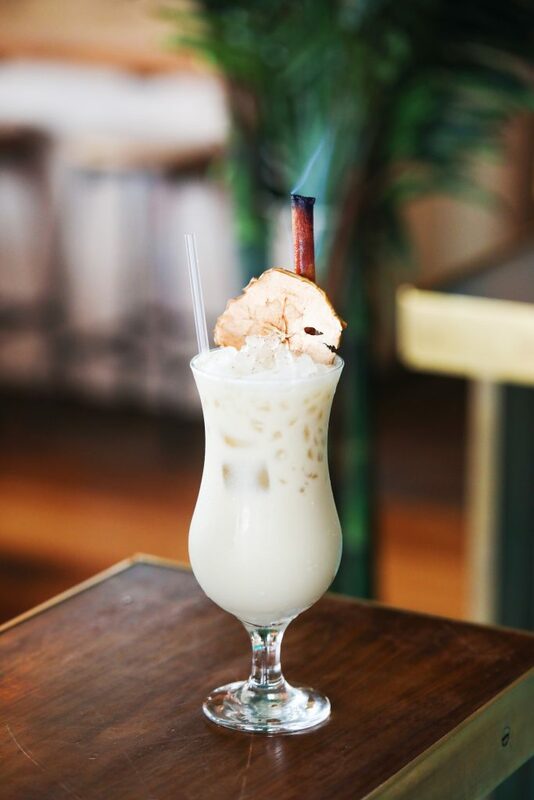 We traveled south to see what some of the top bars in Manhattan and Brooklyn were concocting with our spirits, and enjoyed everything from simple champagne sippers to flaming tiki cocktails. 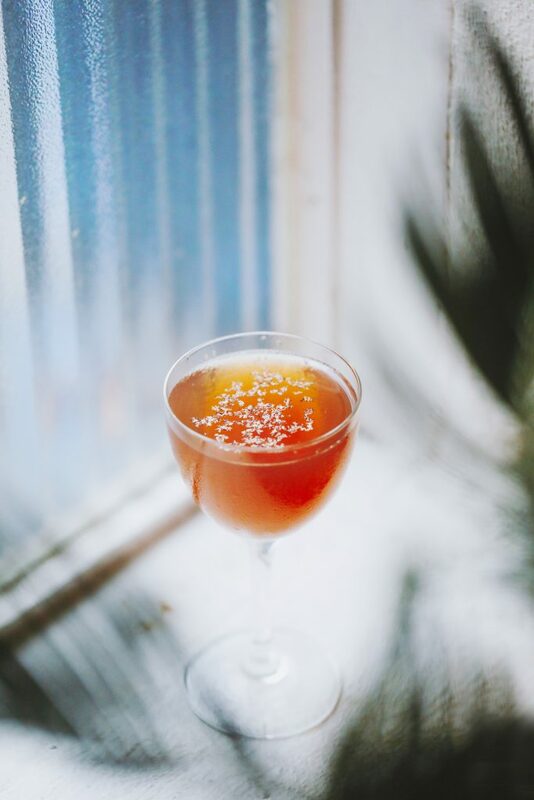 Enjoy our latest Winter Cocktail Guide to New York featuring Camp Robber Whiskeyjack, Art in the Age Black Trumpet Blueberry Cordial, Von Humboldt’s Tamarind & Turmeric Cordials. 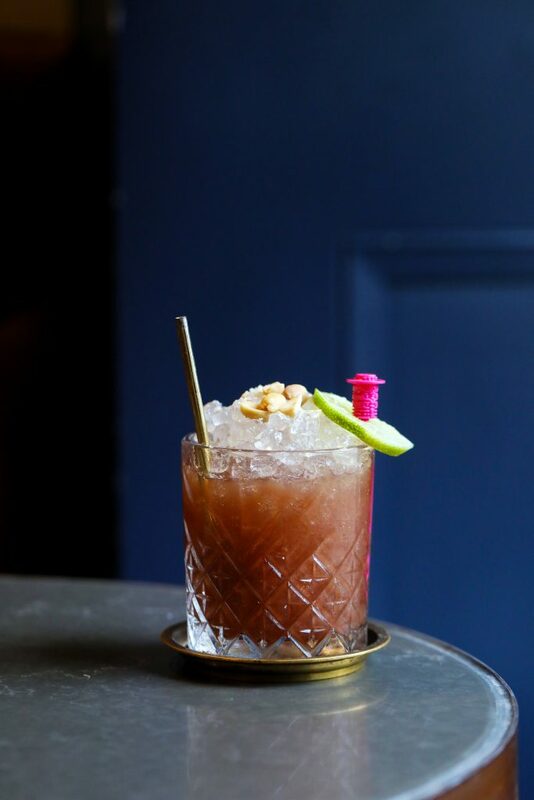 Camp Robber Whiskeyjack, Monkey Shoulder Blended Scotch, Barrow’s Intense Ginger Liqueur, Atsby Amberthorn Vermouth, Fee’s Aromatic Bitters, Pinch Salt. 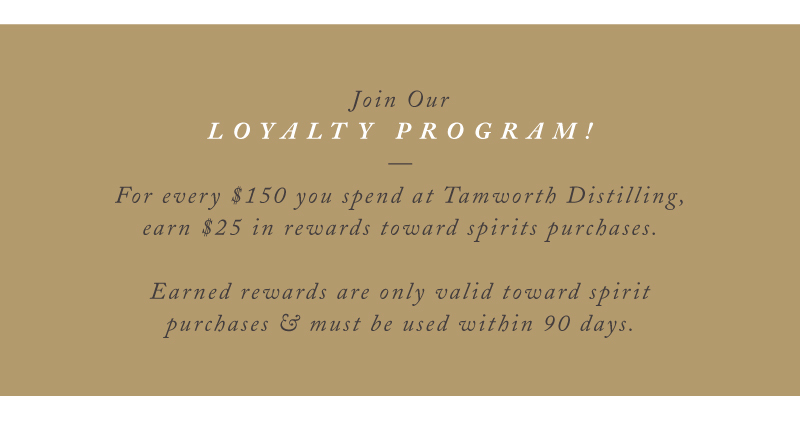 If you have a few booze enthusiasts on your shopping list, a single trip to Tamworth Distilling can cross them all off your Holiday To-do! 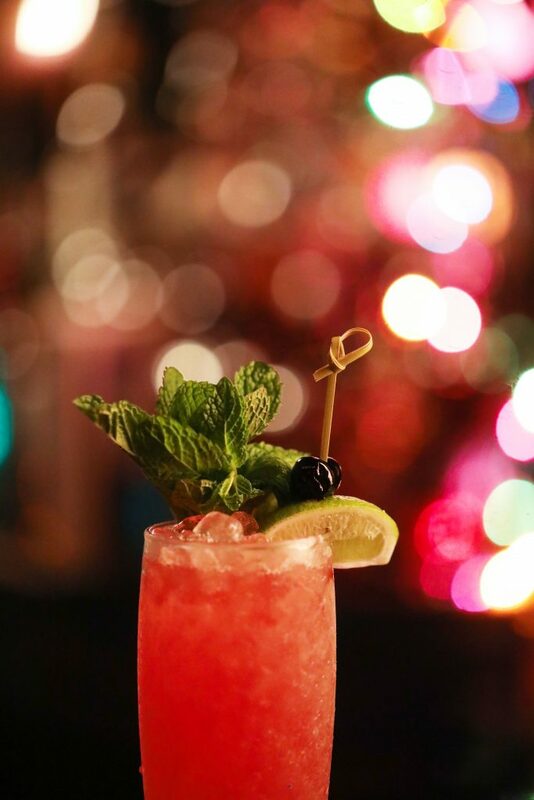 While you shop through our scratch-made vodka, gin, brandy, whiskey, & cordials, make sure you stop to taste our premium seasonal selections. This year we’re highlighting our latest release Art in the Age Sierra Fig, Tamworth Garden Spruce Gin, Chocorua Rye Whiskey, & Tamworth Garden Pommeau. They’re flavors are all perfect for enjoying at holiday functions, but they also make the perfect gift. 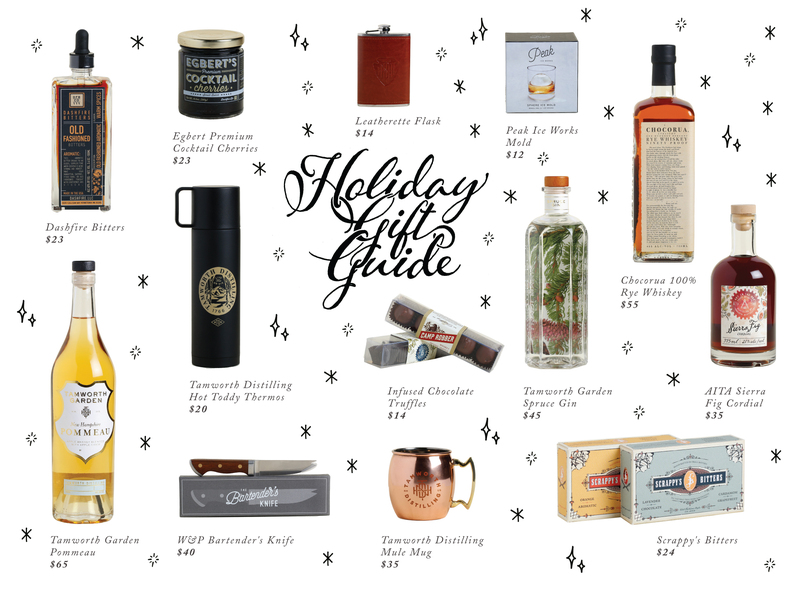 While booze may be our go-to quick gift pick, we have an entire shop full of recipe books, glassware, and everything else you need to appropriately imbibe. Have a look through our 2017 Holiday Gift Guide for inspiration an stop in to shop Friday through Sunday 12 PM – 5:30 PM. 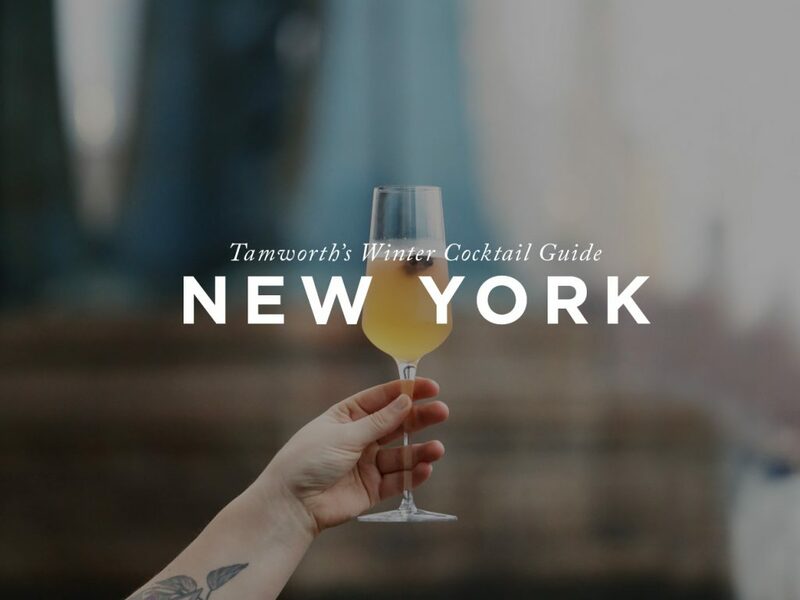 Sip your favorite Tamworth booze in style. This flask is dressed in beautifully branded leather. Ice plays an important role in the cocktails will sip, so treat yourself to a quality rock that stops the clock and melts slowly. This sleek branded thermos will see to it that your belly stays happy and warm during those chilly winter camping trips. 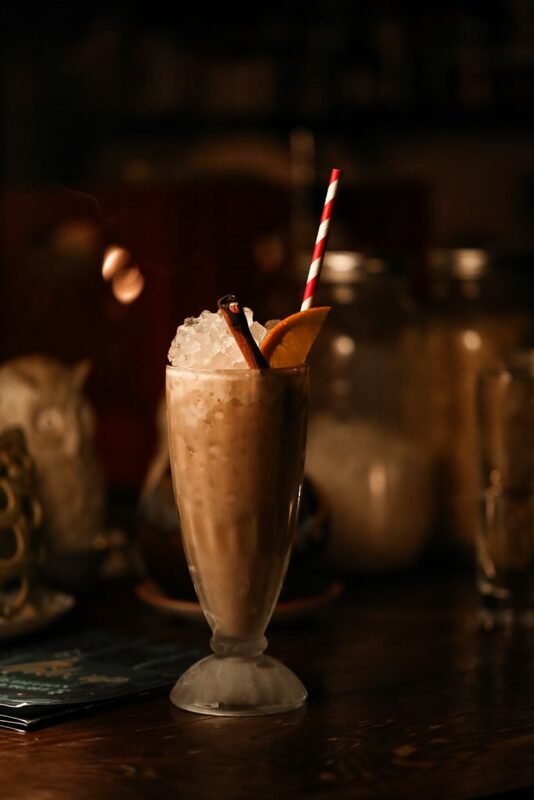 Chocolate infused with booze. Homemade. Need we say more? Citrusy, fresh evergreen elements are backed with warmth from birch oil, nutmeg, and cinnamon, while bay leaves, tarragon and gentian add woodsy depth. 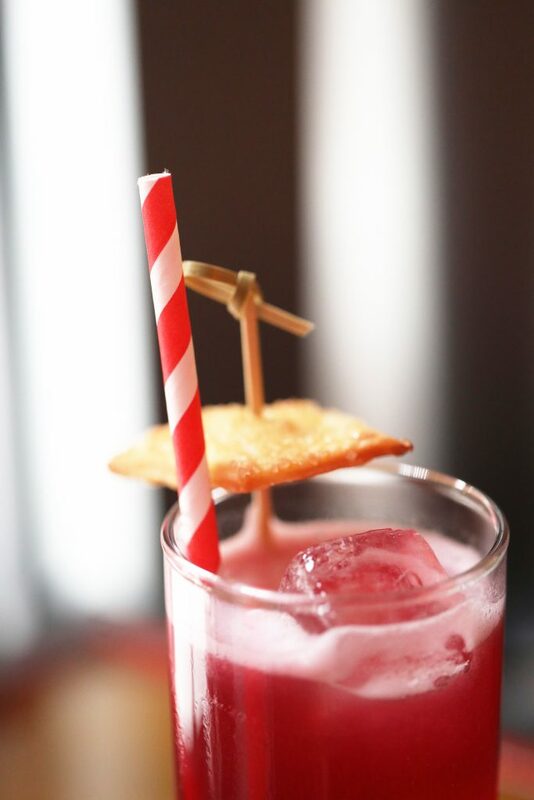 To tie these more unusual botanicals together, coriander and lemon peel add familiar gin flavors. We combined fresh, sweet apple cider and distilled apple brandy, then aged it in a spent bourbon barrel for over a year before bottling. 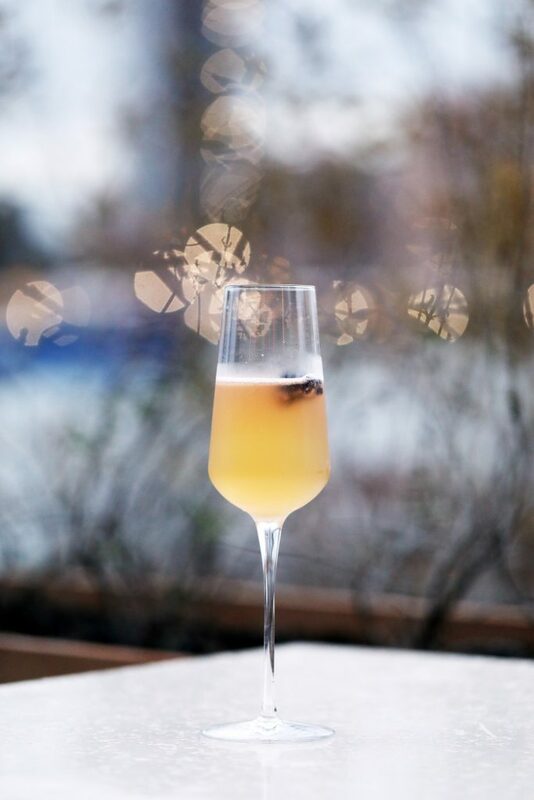 The resulting spirit is somewhat wine-like, with fresh apples and honey on the nose and crisp, tart apple flavors on the palate mellowed by nutty vanilla and caramel notes from the bourbon barrel. Enjoy ice cold White Mountain Mules in this copper branded mug. 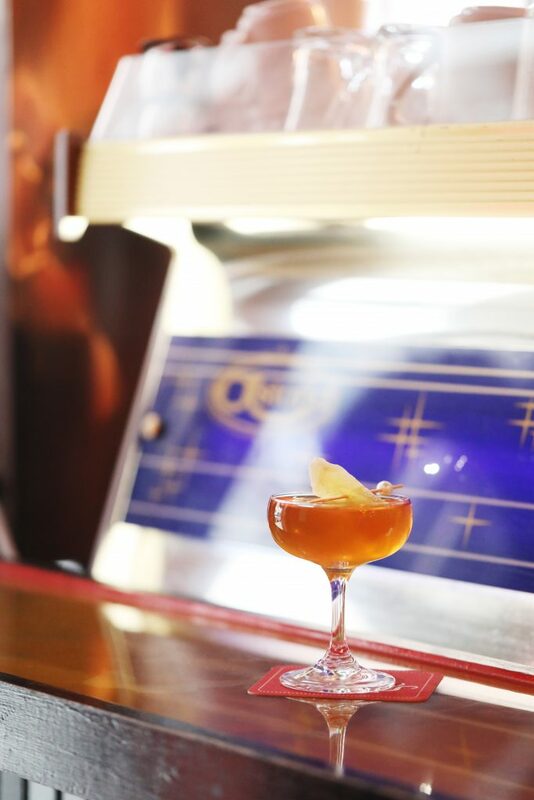 The Bartender’s Knife is carefully crafted from hardwood, brass and high-quality steel to be the perfect addition to your home bar, and comes equipped with a multi-purpose blade that allows you to peel, slice and pick your cocktail ingredients.